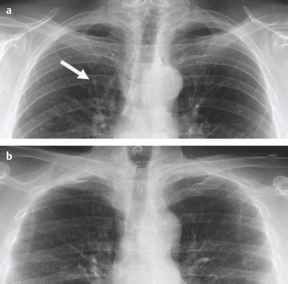 The product of many genes is a protein, whose action produces the trait encoded by that gene. Proteins are polymers, consisting of amino acids linked by peptide bonds. The amino acid sequence of a protein is its primary structure. This structure folds to create the secondary and tertiary structures; two or more polypeptide chains may associate to create a quaternary structure. 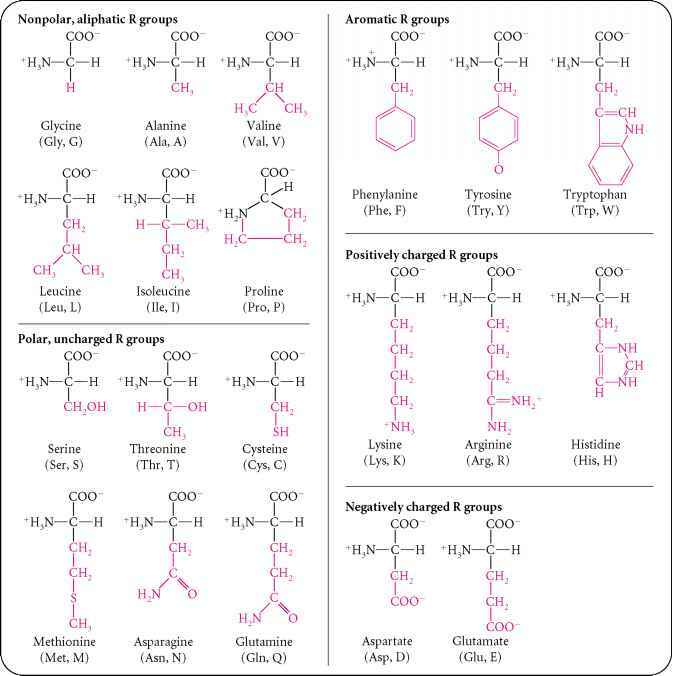 4 15.5 The common amino acids have similar structures. 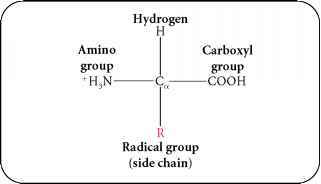 Each amino acid consists of a central (a) carbon atom attached to: (1) an amino group (NH3+); (2) a carboxyl group (COO-); (3) a hydrogen atom (H); and (4) a radical group, designated R. In the structures of the 20 common amino acids, the parts in black are common to all amino acids and the parts in red are the R groups.